It has never been easier to save with Nezhinka vacation packages on Expedia. You'll have plenty more time to sort out your thrilling experiences — and more spending money! With more than 400 partner airlines and 321,000 properties worldwide available to you on our comprehensive database, you'll have your dream vacation in no time! It can be quite nice to just stroll around the streets in a new place, but sometimes it's a good idea to form a plan. Grab your travel program — we have loads of fantastic ideas for your upcoming Nezhinka vacation. Great theater can challenge our expectations and asks us to aspire to more. Attend a play at Lora Fashion Theater at the Children and Youth Creativity Palace and open your mind to another way of thinking. Visitors are spoilt for choice in the area. History has plenty to teach us. Drink in the knowledge and learn from days gone by at Museum of Orenburg Town History. Still have some time to spare? The intimacy and mastery of theater is hard to deny. Buy your tickets for a show at Orenburg State Puppet Theater and feel the magic for yourself! Expedia isn't showing any properties in Nezhinka. 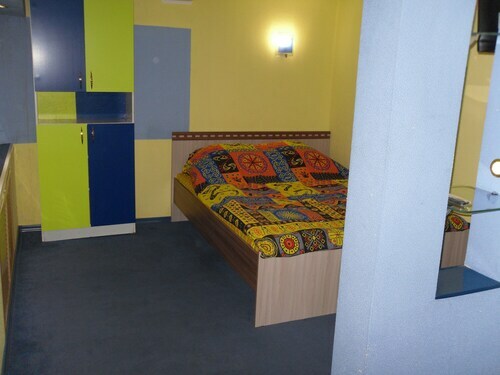 However, there are various accommodation options within driving distance. The Briz Hotel (proezd Avtomatiki 30), for example, lies just 3 miles (5 km) away, in Orenburg. There's nothing like touching down at Tsentralny Airport (REN) after being confined in a cramped cabin for hours. When you've grabbed your bags and had a nice big stretch, you'll be just 4 miles (6 km) from the main streets of Nezhinka. Located in the heart of Orenburg, this hotel is within 1 mi (2 km) of Lora Fashion Theater at the Children and Youth Creativity Palace, Orenburg Oblast Drama Theater, and Orenburg Information Center. Orenburg Regional Museum of Local Lore and Shevchenko Memorial Military Prison Museum are also within 1 mi (2 km). 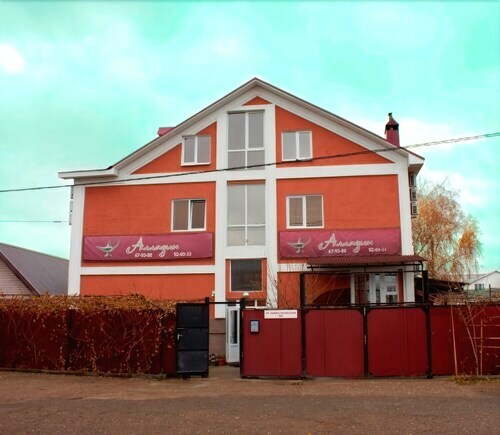 Situated in Orenburg, this hotel is within 9 mi (15 km) of Pierrot Municipal Puppet Theater, Faizi Tatar Drama Theater, and Orenburg Information Center. Lora Fashion Theater at the Children and Youth Creativity Palace and Orenburg State Puppet Theater are also within 9 mi (15 km). Located in the heart of Orenburg, this hostel is within a 10-minute walk of Orenburg State Puppet Theater and Orenburg Information Center. Faizi Tatar Drama Theater and Lora Fashion Theater at the Children and Youth Creativity Palace are also within 15 minutes. 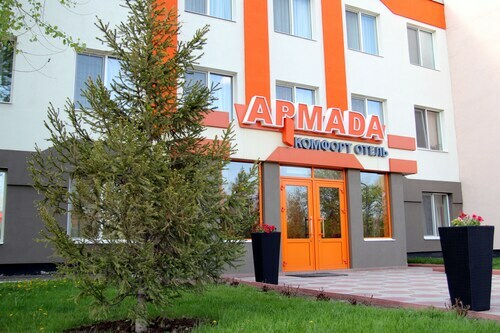 Situated in Orenburg, this hotel is 1.6 mi (2.5 km) from Pierrot Municipal Puppet Theater and within 6 mi (10 km) of Faizi Tatar Drama Theater and Orenburg Information Center. Lora Fashion Theater at the Children and Youth Creativity Palace and Orenburg State Puppet Theater are also within 6 mi (10 km). 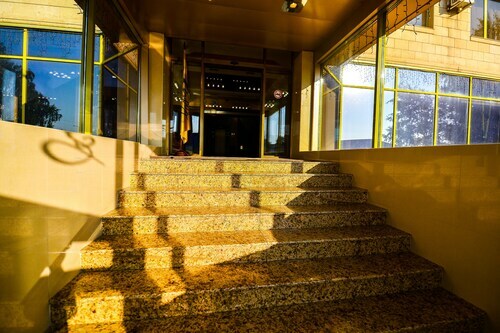 Situated in Orenburg, this hotel is within 1 mi (2 km) of Regional State Theater of Musical Comedy, Lora Fashion Theater at the Children and Youth Creativity Palace, and Faizi Tatar Drama Theater. Orenburg Information Center and Orenburg State Puppet Theater are also within 2 mi (3 km). Situated in Orenburg, this guesthouse is within 2 mi (3 km) of Pierrot Municipal Puppet Theater, Regional State Theater of Musical Comedy, and Lora Fashion Theater at the Children and Youth Creativity Palace. Faizi Tatar Drama Theater and Orenburg Information Center are also within 3 mi (5 km). Situated in the city center, this hotel is close to Pierrot Municipal Puppet Theater, Regional State Theater of Musical Comedy, and Lora Fashion Theater at the Children and Youth Creativity Palace. Local attractions also include Faizi Tatar Drama Theater and Orenburg Information Center. Situated in Orenburg, this hotel is within a 10-minute walk of Regional State Theater of Musical Comedy, Lora Fashion Theater at the Children and Youth Creativity Palace, and Faizi Tatar Drama Theater. Orenburg Information Center and Orenburg State Puppet Theater are also within 15 minutes.